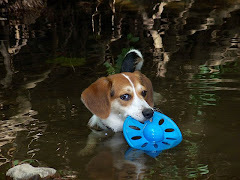 Today's edition of the Northwest Current has an excellent article on Sassafras, the beagle who became lost in April and has since roamed around NW DC and Chevy Chase MD. It isn't yet online, but presumably will soon be added to the archive at http://currentnewspapers.com/archiveweek.php?n=1&year=2011 Meanwhile, it can of course be read in the print edition. For the benefit of anyone who doesn't get the print edition and isn't familiar with Sassafras, here's a little information about her. She became lost in Adams Morgan on April 8, and her family did everything humanly possible to find her. There was no sign of her for over two months, but then she was sighted in Chevy Chase, and since then she's been tracked around Chevy Chase, Bethesda, Tenleytown, Rock Creek Park, and 16th Street. Sadly, Sassafras is still at large, and there are grave concerns for her safety given the change in seasons. However, there is still hope. 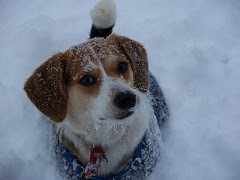 On Sunday, a professional scent tracking dog followed Sassafras' trail through Chevy Chase (in the vicinity of the Georgetown Branch Trail and the Columbia Country Club), the first evidence in weeks that she's still alive. 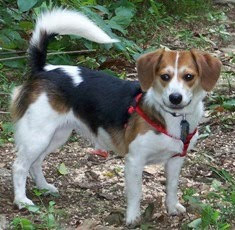 Sassafras is a 4-year-old brown/white/black beagle mix with a distinctive white-tipped tail that curls back towards her head. 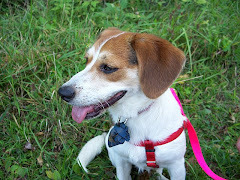 Her ears are more erect and smaller than those of a typical beagle. When lost, she weighed about 20 pounds. See www.findsassafras.net for photos, videos, and a FAQ. Her family has asked that people who see Sassafras NOT try to grab her, because she's skittish and will run. 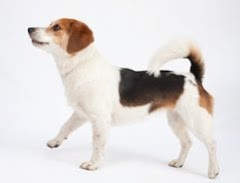 They ask that people make a note of the exact location (so the scent tracking dog can be taken there), and if possible snap a photo of her with a cell phone camera so her identity can quickly be confirmed, then call the family at 202-664-2301 ASAP. This is great! The more news about her the better! It is well written and I'm happy to read that many people know of Sassafras and are helping. We all want your beautiful dog home safe and sound in her warm bed, in your home filled with love. I hope she is still staying in the same area as last Sunday. Warm wishes to you and Sassafras.